Are you in need of a BMW transmission service? Last Chance Auto Repair offers BMW service yes, but is a local expert in BMW transmission service. 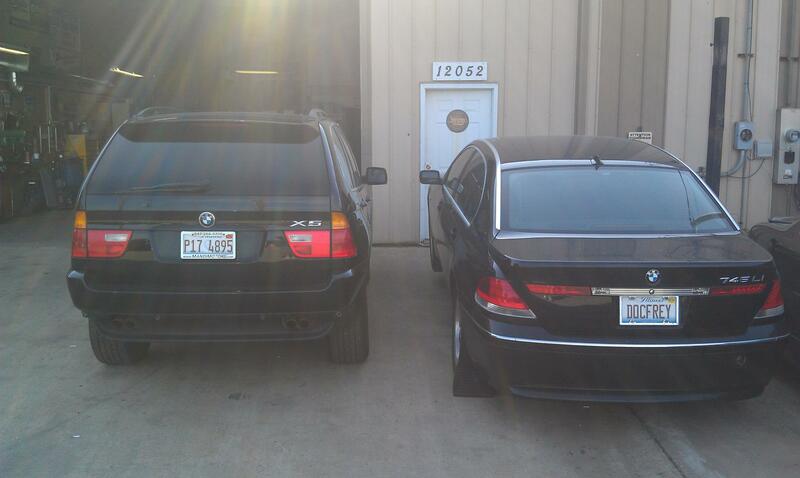 Which includes BMW transmission repair, rebuild, plus maintenance. It’s hard sometimes to find a shop that offers transmission service, but to find one that offers BMW trans service is sometimes impossible without going to the dealer and paying an arm and leg with every service. Not all BMW transmissions are created equal they vary according to year and model. For many years, Last Chance Auto Repair has been servicing them for Plainfield, Naperville, Bolingbrook, IL, all surrounding Chicago South-West suburbs plus beyond. Besides your basic automatic and manual versions, BMW also includes semi-automatic transmission models. BMW has a 7-speed Double Clutch Transmission, 2 different automated transmissions like in BMW’s 645Ci/650i (E63/64) (standard 6-speed manual). BMW has a 6-speed automatic “Steptronic” and even a 7-speed Getrag SMG III single-clutch semi-automatic transmission. Can’t forget about BMW’s manumatic transmissions like that you can typically find in the BMW 328i and BMW 535i models. Then some of my personal favorites the semi-automatic for your high-performance models like the BMW M3 and BMW M5 models. so many models so many options. BMW is a top notch vehicle that has top notch transmissions, hence the importance of having a top notch transmission shop service your BMW’s transmission. Our mechanics’ experience with BMW transmission service can allow you to be confident that we know exactly what we are doing when repairing your transmission. From a BMW transmission inspection to a BMW transmission repair to a BMW transmission rebuild service. When it comes to BMW transmission services team Last Chance Auto Repair is your dealership alternative, money saving, #1 choice. To schedule an appointment for your BMW transmission service, call 815-577-0327 or email info@lastchanceautorepairs.com now. Last Chance Auto Repair is conveniently located on the Plainfield, Naperville, Bolingbrook, IL, border at 12052 S Naper-Plainfield Rd. Were open Monday-Friday from 8:00 AM to 8:00 PM. Plus were open on weekends.